Marc is Nauta Capital’s Legal and Tax Controller, based in Barcelona. 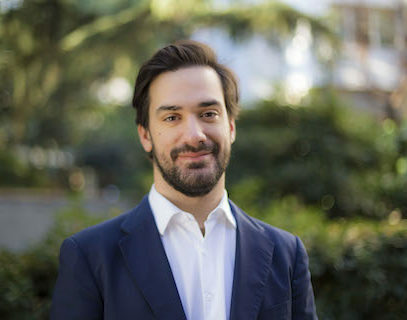 As part of his role, Marc is responsible for the accomplishment of the anti-money laundering regulations, he participates in the fundraising, has relationship with regulators (CNMV in Spain, FCA in the UK), and ensures that the legal and tax aspects of the Funds and the Management Company are in good order. Prior to Nauta Capital, Marc worked for more than three years as a Corporate Lawyer in different companies and firms, such as Amicorp, Baker & Mckenzie and Cuatrecasas. As such, he has lead transnational M&A transactions and managed clients with an equity of over 100 million Euros (HNWC). Marc also enjoys teaching Legal Philosophy and Legal Theory at ESADE. Marc graduated from ESADE Law & Business School, in Barcelona, with specialization in Corporate Law. He did his exchange studies at Cornell, NY, USA. He also holds an Executive Master in Finance Management from ESADE.